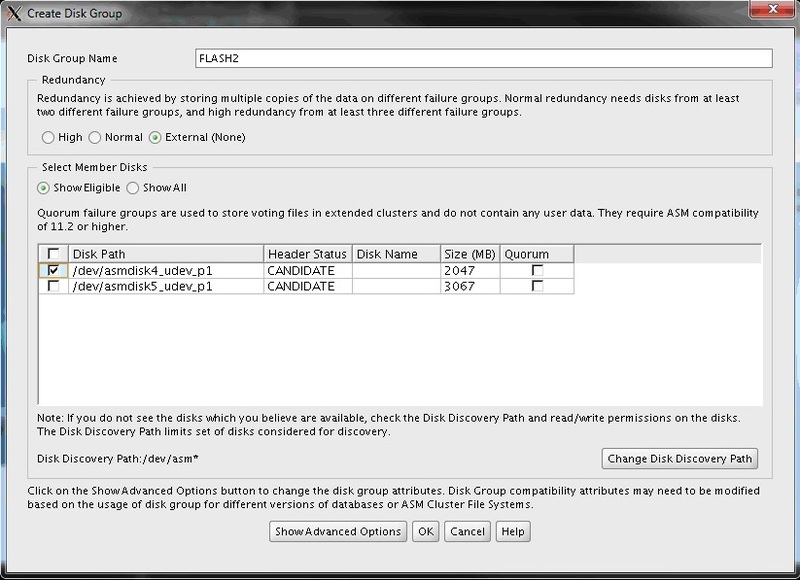 Currently I have 2 disk groups DATA and FLASH for my RAC 11GR2 cluster I need to move them to a new storage array so here are the steps taken. First the new ASM diskgroup must be added and this will appear as the OCRMirror. Afterwards OCR location in the old diskgroup is removed (this will make the ocrmirror to become the ocr). Successful addition of voting disk 4f4c817a9c5f4fa6bfb0ec9adc61ec39. Successful deletion of voting disk 4d9126509abf4f03bf592190f8d0ae7b. 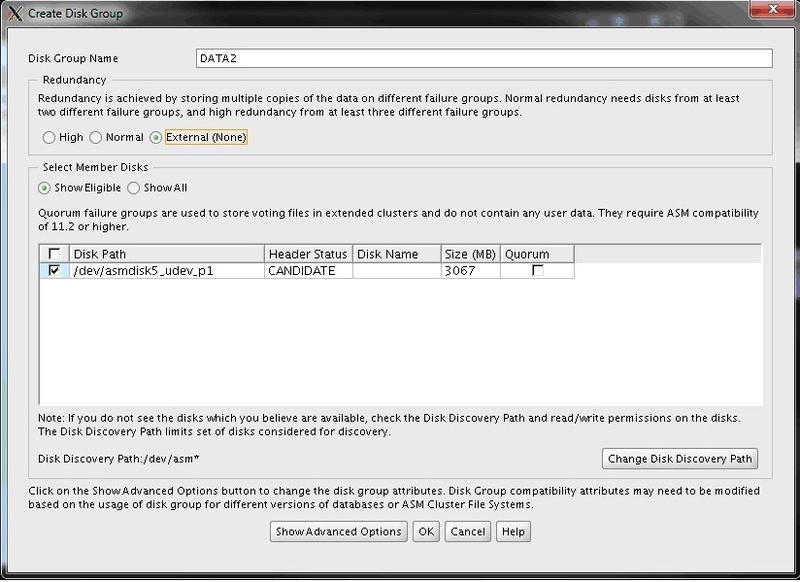 Successfully replaced voting disk group with +DATA2. Edit the pfile /tmp/pfile_copy.txt to reflect the correct control files. CRS-0222: Resource ‘ora.DATA.dg’ has dependency error. How to change the default profile limits useful for setting the password life time to stop the password timing out and asking the user to change the password especially when applications are connecting to the DB. -n <node_name> option has been deprecated.